ORIGIN: Sunstone Butte Mine, Oregon, U.S.A. 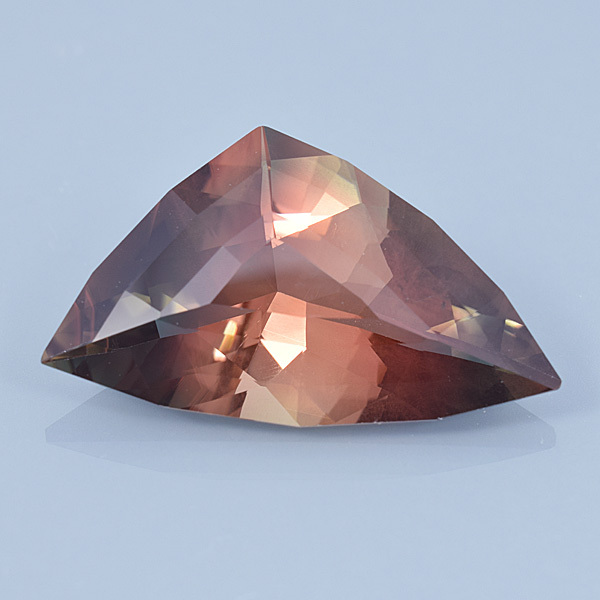 COMMENTS: This sunstone is mostly a coppery pink-orange color with some darker blue-green in the ends. I had to cut this one with a shallow crown so it looks pretty big in person.